While working in a non-medical capacity at a “bush” hospital in the early ‘70s in Zaire, Africa I witnessed many different ways of how childbirth happened or was assisted. Bringing a child into the world is often a very rigorous affair. 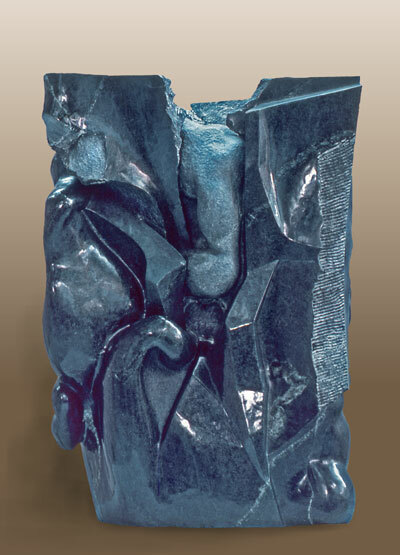 This sculpture is a composite of sensualities resulting from my experiences of the time.